Last month, Robert Hood discussed the concept behind his new album in a Gridface interview. 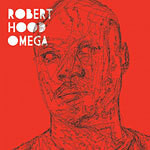 Hood explores his full range on Omega, from experimental to minimal, but always in his distinctive voice. http://charlotteskitchendiary.com/2012/09/30/pan-fried-megrim-sole-with-creamed-spinach/ After “Alpha (The Beginning),” a spoken word introduction referencing The Omega Man film, “The Plague (Cleansing Maneuvers)” offers a wash of reverberating bell-like tones. Scientific equipment bleeps and sputters. Even with echo, everything sounds crisp and new. “Towns That Disappeared Completely” is a more traditional Hood track. A punishing kick and simple synths bore their way through space. It isn’t until the bass drops away that you recognize the beat was doubled. A cold, synthetic rain washes down. The precision is heavenly. Buy Cheap Diazepam From India “Alpha” seems too simple at first, but treble strobing kicks in to good effect. I actually wish it stayed at its initial pitch, instead of dropping to a low pulse and later clipping to a muted tap. “Think Fast” is great for action, as its name implies. Two sawtoothed notes rattle amidst thick bass and percussion. While there’s not a traditional melody, per se, the rhythm is catchy. “The Workers of Iniquity” is anything but minimal. It’s dense with synths and percussion, and the sound changes drastically every few bars. “Are You God” changes frequently as well. A simple synthesizer phrase curves over shifting beats. “The Family Watches” is reminiscent of Dopplereffekt. Chimes whirl up like wonky clocksprings. The bassline wobbles and sinks. “War in the Streets” features swarming phasers over a driving beat. Congas are the sound of running feet. “Saved by the Fire” is spare in comparison. Far from suggesting conflation, everything seems perfectly balanced. Snares are squeezed into chirps over a pulsing bassline. At the end a veil is withdrawn, revealing the unprocessed sounds. “The Wheels of Escape” picks up the same beat, but then adds squelchy lines of ascending notes. Hood ends the album in classic style. “Omega (End Times)” is a real stomper. Alarms shift. Beats helicopter. It’s impossible not to feel lost in the power of the track. Robert Hood’s strength is his ability to paint with pure sound. Despite his commitment to minimalism, Omega is his most complex album to date. It’s obvious he has complete control over what he does, and it really is a joy to hear him play with different textures and moods.